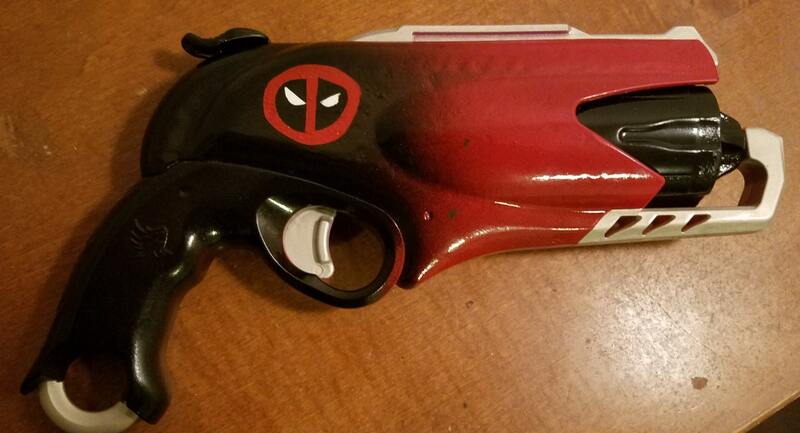 Wixtar Black Diamond Battle Gaming is creating Custom painted and modified Nerf blasters, accessories and more! Hello Patreon! 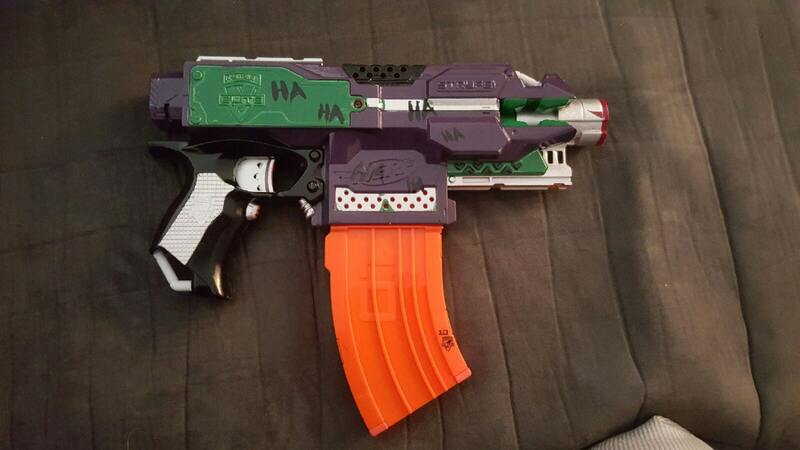 This is Anthony and Ian AKA Mjolnir and Hailstorm of Wixtar Black Diamond Battle gaming, we take immense pride in customizing Nerf blasters via meticulous painting and precise internal modification for the enjoyment of Nerfers like ourselves who want to be unique and stand out on the battle field. No design is too tough for us to make a reality and we do our best to not only make the work top notch, but also affordable. Working on blasters isn't the only awesome work we do however, we also provide a full arsenal of Nerf goodies for use at your birthday celebration, family reunion, office function, bachelor/bachelorette party, etc. You name it we'll show up, set up the games and supply the blasters and ammo to help you and your guests have the best time possible. This is where all you wonderful potential patrons come in. In order to make sure we can continue to customize and modify at a level that will consistently meet our clients needs and expectations we'll need your help! Your contributions will make it possible for us to procure better painting materials and equipment as well as tools to expand our capacity for modifications. 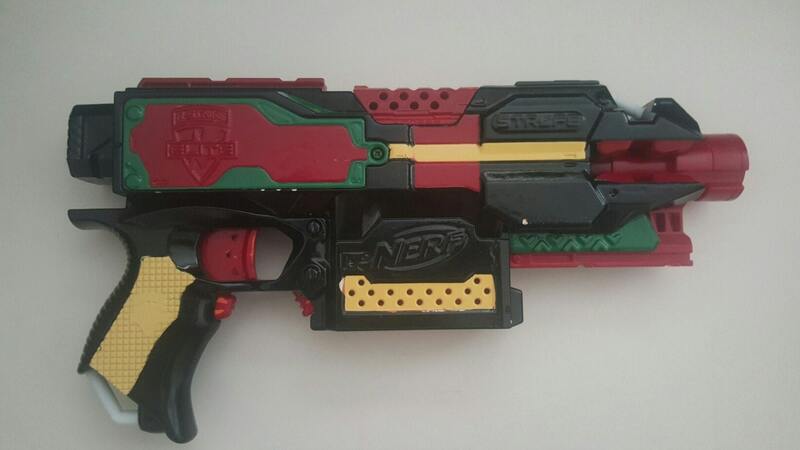 With better tools will come the ability to produce a better product and with your help we hope to reach the goal of opening and managing a Nerf arena! As the Nerf community grows in our area we hope to grow with it and support all those who enjoy it just as much as we do while providing a fun and engaging activity for many who are new to Nerfing. Thank you for taking the time to hear us out, you're all awesome! A video thank you from Ian and myself and entry into our free Nerf blaster random drawing. A video thank you from Ian and myself, an entry into our free Nerf blaster random drawing, and a 20% off voucher for a full modification and customization of a Nerf Hammershot. A video thank you from Ian and myself, entry into our free Nerf blaster random drawing, a 40% off voucher full customization of a Nerf hammershot, and a 50% off voucher for a full modification and customization of an N-Strike Elite Stryfe. A video thank you from Ian and myself, entry into our free Nerf blaster random drawing, a free full customization of a Nerf hammershot, and a 50% off voucher for a full modification and customization of an N-Strike Elite Stryfe. A video thank you from Ian and myself, entry into our free Nerf blaster random drawing,a free full customization of a Nerf hammershot, and a %50 off voucher for a full modification and customization of an N-Strike Elite Stryfe.. As patrons of the highest level, these individuals will be granted membership to The Honorary Wixtar Black Diamond Battle Gaming team complete with a membership certificate, a unique callsign (codename), a WBDBG callsign patch, and a WBDBG button. In order to make sure that our internal modifications are on par with our external work there are certain materials we will need a supply of so that we can incorporate them into the blaster builds that our clients order. For example higher gauge wire, heat shrink, solder, replacement motors, switch upgrades, higher voltage batteries (i.e. Lipo IMRs), LEDs, battery chargers and voltage testing equipment, a chronometer for testing.